Here is the very first interview not in my mother language; I feel very happy and honored to make it with Joe Filisko (I’m not supersicious but it is like a good presage ). Patrice Rayon > You are born in Germany in 1967. Did you lived for a long time there? Enough to remember? Joe Filisko > I regret to say that I only lived there for a few months. Patrice R. > How is born your interest with music ? Did you have influences, perhaps with your family, friends ? Joe F. > Music has always fascinated me. I was really taken by it when I was in high school and only more so while in college. I didn’t grow up in a musical family. I came about it mostly on my own and was given some guidance and encouragement from friends and my cousin Steve Bourque. PR > Do you mean that your cousin Steve was musician or perhaps did he felt something in you that made him encourage you? JF > Steve is an amateur musician. He did a great job at showing me things I needed to know on the guitar and was a wonderful source of encouragement indeed! PR > How did you start music ? Which instrument ? Can you tell us the story ? JF > I really became fascinated with the guitar in high school and studied it a little in college. It was then that I really started listening to American Roots music and Blues and my deep interest in the harmonica started. PR > In France, what we call college is before high school. So I understand that the step just after high school is college isn’t it? JF > Yes, you are correct. High school is grade 9, 10, 11 and 12. College is beyond that. 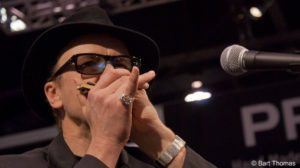 PR > How came your interest with the harmonica ? JF > The harmonica fascinated me for a few reasons. I really loved the portability and was mesmerized by the sound. I also was deeply amazed by the complete lack of visuals. Learning the guitar was easy for me in that I could fairly easily replicate what I was seeing. With the playing of the harmonica, there is not much to see. PR > Your instruments: guitar, harmonica, voice … any other ? JF > I also play some drums and bass. Love the Cajun triangle and didgeridoo too. PR > Wow! I never heard about the Cajun triangle! All those instruments are very rythmic! Where you interested to work about rythm or where just attracted and the rythmic aspect du to the chance? JF > Playing with Eric has gotten me to have a much deeper love of rhythm and groove which indeed the triangle needs to be. I also love “low tech” instruments which it certainly is also. PR > The circular breathing is necessary with the didgeridoo. Are you sometime using this technic with the harmonica? And if yes: with the same way or differently ? JF > I am occasionally experimenting but have not found a use for using it live yet or using it in a recording. Jim Liban has used it effectively during his show. I have also suspected that El Watson could possibly have used it for his “Narrow Gauge Blues” song. PR > When you speak about Cajun… The first person I get in mind is Jerry Devillier who is a good friend of you, and someone that I appreciate a lot as well. Do you know Jerry for a long time and is it him who made you know about Cajun triangle? Perhaps even about Cajun music? JF>I first me him at a festival in Birmingham Alabama and have since been responsible for getting him to share his playing and music at SPAH. He seemed to be impressed with me that I actually knew and could play some of the traditional Cajun repertoire. Becoming friends with him only increased my passion for Cajun music and playing it on the harmonica. Approaching the harmonica as though it were an accordion is a playing style that has changed the way that I think and play folk music. Jerry did indeed expose me to the world of the Cajun triangle. PR > Did you learn on your own or with teachers ? For each instrument ? JF > I did have a guitar teacher while in college named Jeff Jaskowiak . While it may be true that I did not have a teacher for the harmonica, I did learn countless things from the living and deceased masters. I have transcribed hundreds of harmonica recordings. I’ve also learned much from the numerous professional players that have used my harmonica customizing and upgrading services. I have had numerous masters also talk to my weekly classes at Chicago’s Old Town School of Folk Music. You can find out about some of it at www.YouMissedMonday.com . 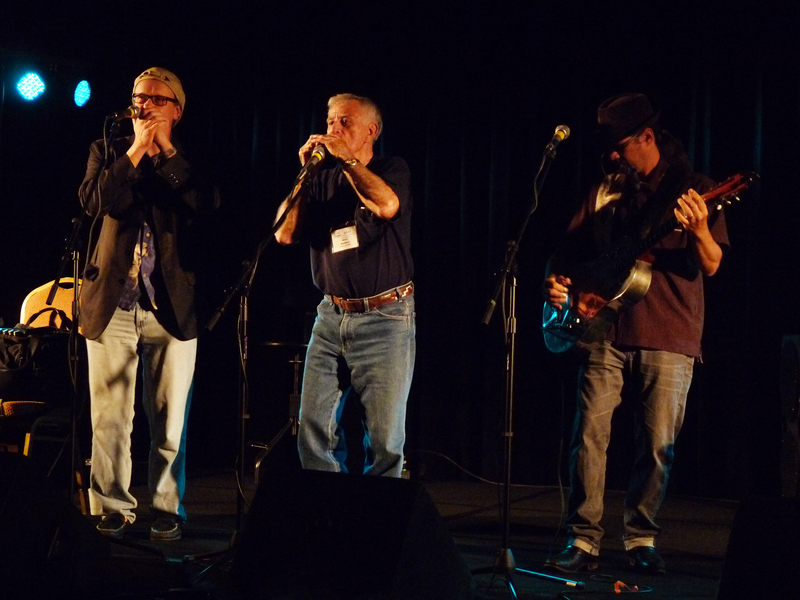 PR > Did you participate to harmonica events like workshops, masterclass or other before to become professional? 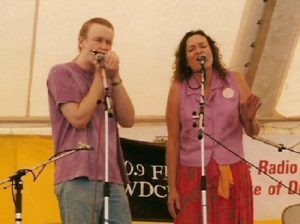 JF > I went to my first SPAH harmonica festival in 1990 and started teaching at the Old Town School of Folk Music in Chicago in 1992. Not sure what year I started playing professionally. I eased into it. Started playing with Eric Noden in 2003. JF > I have a college degree in Machine Tool Metalworking. This gave me an advantage when I decided to start working on repairing, upgrading, modifying and customizing harmonicas. PR > Do you play only diatonic or other harmonica families ? JF > Some chromatic but my heart is with the 10 hole Marine Band diatonic for sure. PR > Do you play pucker or only tongue blocking ? JF > I can do both very well but my default is the tongue blocking. I have come to think of myself as a “sound and tone” player and the tongue blocking is best suited for this approach. Puckering is better suited for more modern playing styles which are focussed mainly or only on clean single notes. I have personally come to think of the harmonica as a mediocre “clean single note” instrument. PR > I don’t really have souvenir of effect pedals with you; all seems to come from your hands, your throat, the way you hold the microphone, technics like chords playing, tongue blocking… Do you think that the tongue blocking is very important to be able to have a great sound? But also the examples I mentioned in my question ? PR > Do you play in studio for the other as well ? Would you like to play more in studio ? 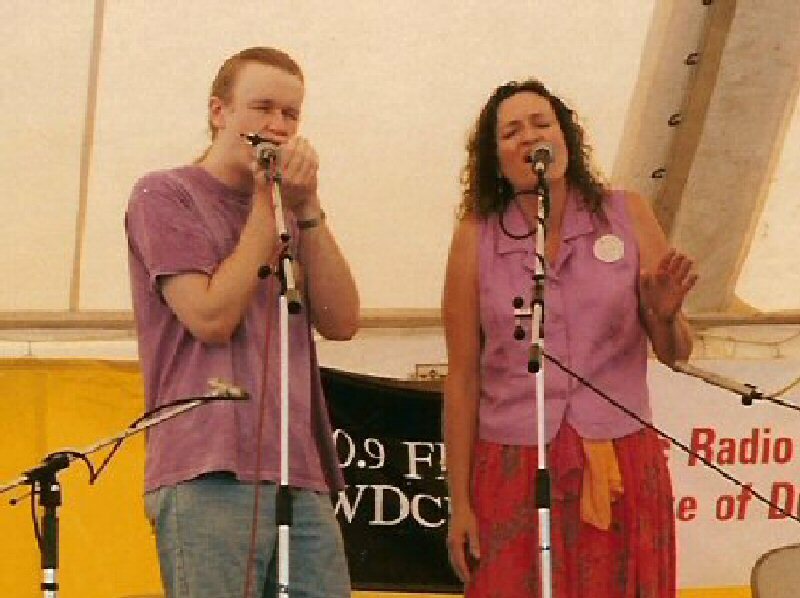 JF > I’m generally busy enough with my current musical projects and harmonica business. I don’t usually find myself looking for other projects. PR > According to you, what can push someone to do an artistic job? Is music a profession that can be chosen or is it the music that choose the musician? JF > I don’t know. It seems like both happened to me. I’m just very happy that I’m still finding myself satisfied and happy writing and performing music. PR > People are often tempted to classify or confine the musicians in styles. Do you thing this is the case for yourself ? PR > Except Eric Noden did you play with other bands ? PR > How did you meet each other with Eric Noden ? JF > Eric Noden and I met shortly after he moved to Chicago in the mid 1990’s and started teaching at the Old Town School of Folk Music. PR > Do you collect harmonicas ? If yes do you have a preference in your research for your collection ? JF > I collect early diatonic harmonicas and especially early Marine Band’s. I usually find something interesting to add to my collection about once a year. PR> Do you think that if the universe of the harmonica was much better known, the instrument would have the same interest? JF > I’m not sure. Seems to me that folks are attracted for various reasons. I think most because they heard something that grabbed them emotionally and they want to try and replicate it. Many because its very affordable. I do believe that many get frustrated and quit due to the difficulties in learning an instrument with no hand / eye coordination and visuals involved. PR > Besides the music, the harmonica, you have passions, favorite activities? Others you would like to do? 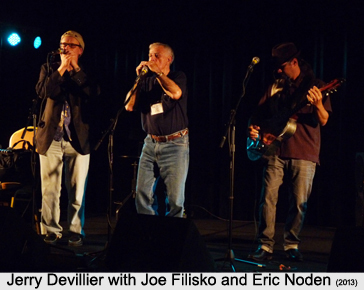 JF > Most of my interests over the last 25 years have been to understand and teach the role of the diatonic harmonica in American music styles. Now days I’m getting more interested in cooking and magic. JF > Anything is possible indeed. PR > That seems that you like cooking isn’t it? Are you cooking? If yes, is it recent ? JF > My interest in cooking is a gradually growing thing. I see amazing parallels with cooking and music. I love to make comparisons often when teaching as people can often relate much more easily to music concepts when it is compared to cooking and food. JF > Nothing comes to mind.